For the last year I've been covering Burning Man art projects for the Burning Man Journal. I've interviewed several Burning Man honorarium artists about their process, hopes, dreams and challenges. 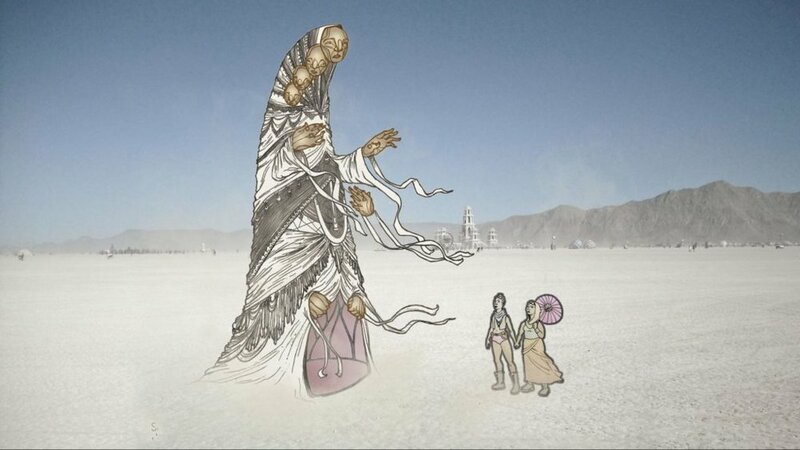 To read full articles please visit the Burning Man Journal website. “There’s no way out now.” Stacey Scriven of the Blazin’ Lily Gals from Calgary has fully succumbed to the life of an artist — although she thinks it’s pretty cool her team has mundane day-jobs but still builds amazing things. 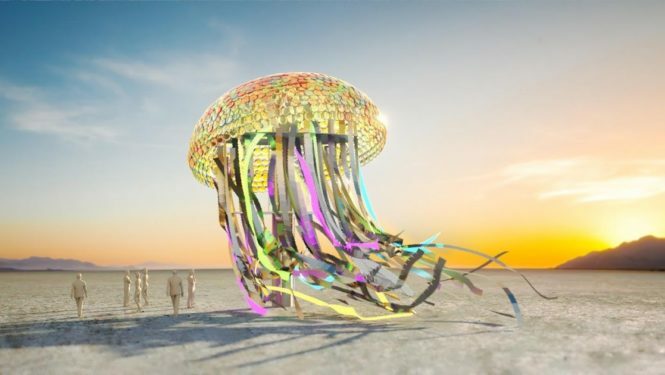 Stacey, Dree, and the other members of the BLG team are currently working on their Burning Man Honorarium project, Efflorescence, an otherworldly garden of 13-foot-tall metal fire cannon flowers and interactive fire bowl stumps. “I’m excited. Let’s have a party!” Peter Hazel bursts into the room where a few of his crew members are having a serious discussion regarding their upcoming fundraising events for their honorarium piece, Bloom. Peter is the kind of guy with a permanent beaming smile and real joy swirling around him. His crew describe him as relentlessly positive. He’s always pushing what is possible: a little bigger, a little more. He has one goal for his team: “Have fun.” He wants his work to be a labor of passion and love surrounded by jokes and happiness. If you stress, you go home. Solace — to give comfort, especially in times of grief or misfortune — is the “primary motivating offering” of The Solacii, says Black Rock City Honorarium artist Tigre Bailando. 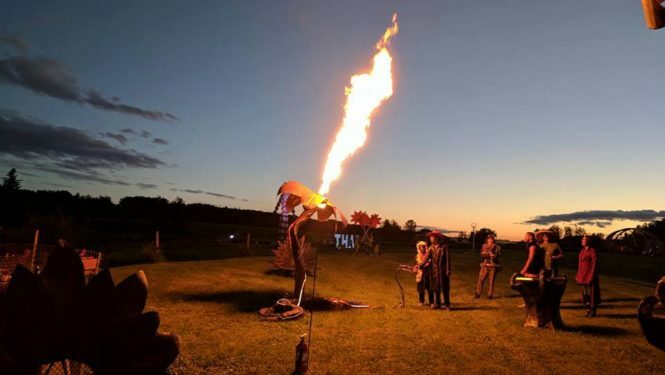 Since 2012, thousands of participants at various events such as Burning Man, Envision and Rainbow Serpent have witnessed Tigre’s artistic process develop through large-scale sacred sculpture. All of his works create a relationship between the art and the human. They have an interactive aspect asking the participant to enter the sculpture, to join the piece and to add their own personal energy to it.